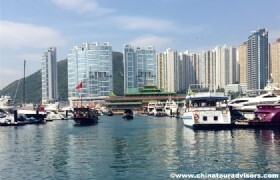 3 days/2 nights holiday in Hong Kong include all transfers, hotel, tours, meals, tram ride. 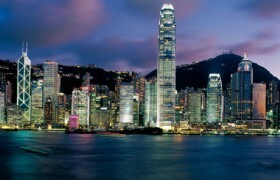 One day visit all must-go attractions in Hong Kong Island. 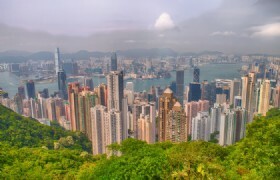 One day visit all must-go attractions in Hong Kong Island, free time to explore Cause Way, an area of large department stores and shopping malls. Detailed Itinerary: Upon arrival at Hong Kong airport, please proceed to Exit Hall B. Once you come out from the Exit Door, go straight to counter B4, show your passport to the staff at the counter and you will be led to your transfer service. Airport to Hotel transfer will be arranged by us. The hotel you will stay for is Rosedale Hotel Kowloon. 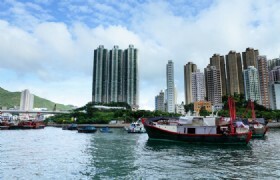 It is a modern and stylish 4-star business hotel located in the busy district of Tai Kok Tsui, Kowloon. 10 minute walking distance from Exit B of MTR Olympic station. Free time for the rest of the day. Recommend you to go to nearby Temple Street or Tung Choi Street. Known as Men's Street. It is a street located in the areas of Jordan and Yau Ma Tei in Kowloon. Popular with tourists and locals, The market starts at 2 p.m. in the afternoon, but is lively at dusk daily. There are carts bulging with goods from clothing to mobile phones and watches. Stalls have items mainly for men, jeans, t-shirts, pants, lighters, shoes, condoms and men's accessories. Like in other night markets in South East Asia, prices can always be negotiated by bargaining. Known as Ladies' Market or Ladies' Street. 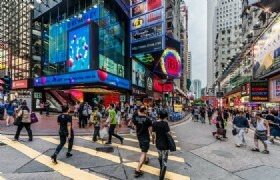 It is a street situated between Boundary Street and Dundas Street in Mong Kok, Kowloon. It ] is one of the most well-known street markets in Hong Kong, where various kinds of products are available for cheap prices (not just for women, as its name suggests). Our airport counter closes at 23:00. If your flight arrives at Hong Kong later than 23:00, please arrange your airport/hotel transfer by yourself. After the tour, you will be dropped off at Tsim Sha Tsui at abount 2pm where you are free for leisure. You will make your own way back to the Hotel. 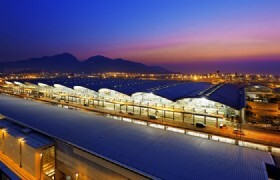 Recommend you to take MTR from Tsim Sha Tsui staion to Olympic Station (Tung Chung Line), go out from Exit B. Detailed Itinerary: Today you will be transferred to airport for flight home. We will pick you up 3 hours prior from your hotel. 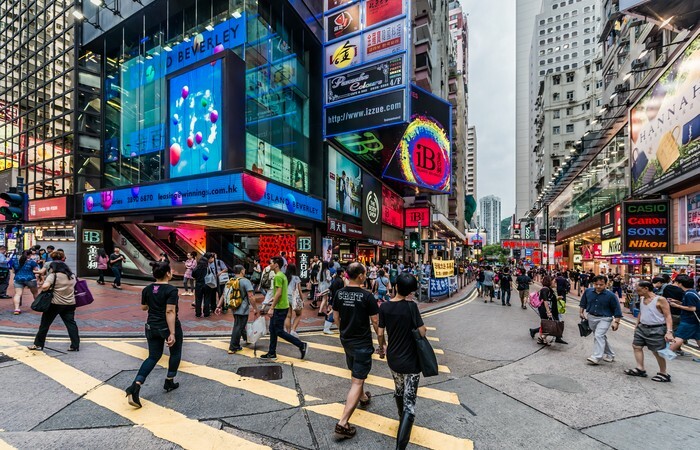 If you leave Hong Kong by evening flight, we recommend you have free time for shopping at Causeway Bay. 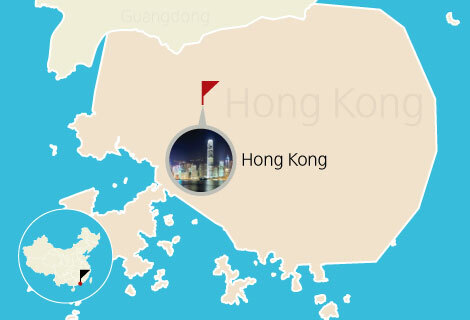 Causeway Bay: Causeway Bay is Located in the center of the north shore of Hong Kong Island West, it is Hong Kong's main commercial and entertainment center. There are a number of large department stores and shopping malls, including: Sogo, Times Square, Lee Theatre Plaza and World Trade Center. Notice: Please tell us your flight information on reservation, we will tell you the pickup time from your hotel accordingly on reservation. 11:55, 12:55, 13:55, 14:55, 15:55, 16:55. The driving time is 45 minute, so you should take a bus 3 hours prior of your flight depart time. If your flight time leaving Hong Kong is before 15:00, we recommend you to take MTR to Kowloon Station, then take Airport Express Train. Your hotel is in 10 minute walking distance from Exit B of MTR Olympic station. 2 nights' accommodations and breakfasts in hotel as mention in itinerary. Service of English speaking guide service. Air ticket and airport tax. Luggage handing tipping to bell boy at hotel. 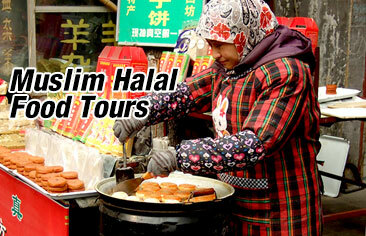 Our sightseeing tours are escorted by English peaking tour guide. Tours are available everyday. You will have a seat in our tour coach. This kind of tour is named as seat-in-coach tour. Our airport counter service time is from 07:00 to 23:00. Each passenger (except an infant) can check-in a maximum of 2 pieces of baggage, total dimensions per bag shall not exceed 158 cm (62") . Over sized and excess baggage are subjected to the availability of storage space on coach, and surcharge will be levied. If your arrival flight time is earlier before 07:00, or later than 23:00, please arrange your airport/hotel transfer by yourself. The extra cost for airport to hotel private transfer by a 7-seater van working between 2300 to 0700 is USD110 one way. The taxi fare is about half the price. Please notice this extra tranfer fare will be paid by you. We will pick you up from the lobby of Rosedale Hotel Kowloon. The hotel pickup time is 11:40, 12:40, 13:40, 14:40, 15:40, 16:40. No refund for confirmed booking, No refund for no show at pickup time. If you have booked hotel room by yourself, you can choose TOUR ONLY, book our tour and airport to hotel transfers. Our service is inclusive of round trip airport to hotel transfers, 5 hour city tour and 10 hours Hong Kong Disneyland tour. Please first check our hotel pickup list. Please notice that we pickup from many hotels. Even if you can not find your hotel in our list, we will recommend you a nearby hotel to join in our tour.